Alienware Alpha keeps setting color format to YCbCr444`limited range`when changing resolution. When I set a 4k @ 60Hz resolution and then switch to another resolution such as 4k @ 23Hz or 1080p @ 60Hz, colors become washed out. 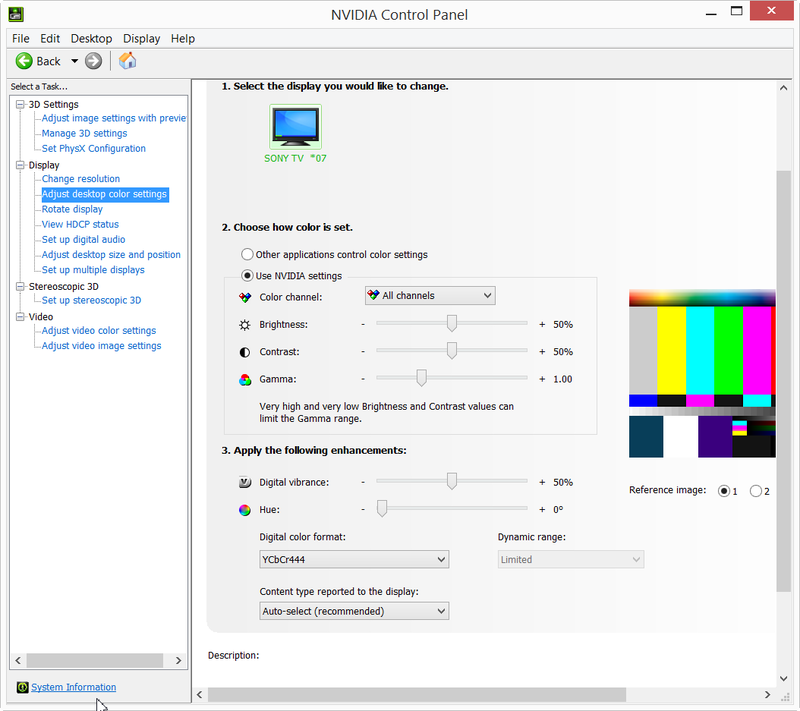 This is because in the Nvidia Control Panel, under "Adjust desktop and color settings", the color format changes to YCbCr444 `limited range`. In order to correct the colors, I have to manually set it to RGB `full range` every time. The control panel does not seem to remember my choice (RGB full range) and always reverts to YCbCr444 `limited range`. The problem is very frustrating when switching between 4K@60Hz and another resolution. It looks like an Nvidia Control Panel issue and I am surprised that it still remains unsolved in the latest driver.